The introduction of English education in India caused a tremendous ferment in the life and literature of the people. A whole world of new ideas was opened to them through the portals of English literature. Lord Bentinck’s decision to make English the medium of education in india was a momentous one. The inauguration of the Universities of Bombay, Calcutta and Madras in 1857 was the next landmark. As the new generation of India came out of the colleges and universities, English became the medium of thought and expression among the Indian Intelligentsia. It entered straight to the soul of Indian people. The first sign was found in the writing of English verse. The growth of Indian poetry in English was a direct result of the British influence and rule of India. Early Indian poetry in English was a borrowed plume in every possible way. Right from syntax to sentiments everything was so imitative that it looked a perfect alien bride. Both in its inspiration and guidance it depended on England. Even the imagination was slavish. from his father’s side an equally strong prejudice against Indian culture and Hinduism. At the age of only nineteen he became the professor of poetry in Hindu College (Today’s Presidency College).He is being regarded the father of Indo-Anglican sonnet. His sonnets, The Harp of India and To India- My native Land, are regarded as fine examples of India’s earliest nationalistic poetry. His long narrative poem, The Fakir of Jangheera, describing the ill-fated life and adventures of Brahmin widow, Nuleeni. Derozio’s poetry shows a strong influence of the English Romantics, notably Byron and Scott. 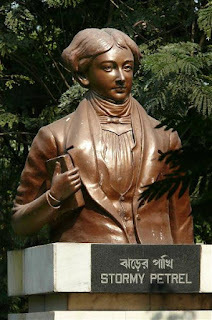 Another pioneering Indo-Anglican poet was Kashiprasad Ghosh (1809-1873), who published Shair and Other Poems in 1830. The Shair relates the tragic story of a poet whose lady love dies and who, unable to bear the separation, throws himself into the sea. The poem is full of conventional description of nature and tedious moralizing. lyrics form his only writing in English verse. The Captive Ladie deals with the story of Prithvi Raj, the most romantic figure in the Rajput history. Vision of the Past is a slight sketch in the blank verse. It describes the primeval innocence, the Temptation of Man and his Fall in the form of visions. Romesh Chander Dutt, civilian and economist, translated the Ramayana and the Mahabharata into felicitous English verse. He also published his Lays of Ancient India in 1894. Manmohan Ghosh is unique among Indian writers of English verse. He buried himself in the study of classical European art and literature with the result that his poetry entirely Western in taste an allusion. During his lifetime just one collection of his poems, Love Songs and Elegies, was published in London by Elkin Mathews in the Shilling Garland series in 1898. He remained a dedicated poet and wrote a number of longer, more ambitious works including 'Perseus', 'The Gorgon Slayer', 'Nala and Damayanti', 'Orphic Mysteries', 'Immortal Eve' and 'Adam Alarmed in Paradise'. Manmohan’s younger brother Aurobindo Ghosh was more than a poet; he was a patriot, philosopher, and yogi rolled into one. Sri Aurobindo had a record of poetic achievement without a parallel in our day. Urvasie and Love and Death are nobly articulate narrative poems, while Baji Prabhou is a first- rate poem of action. 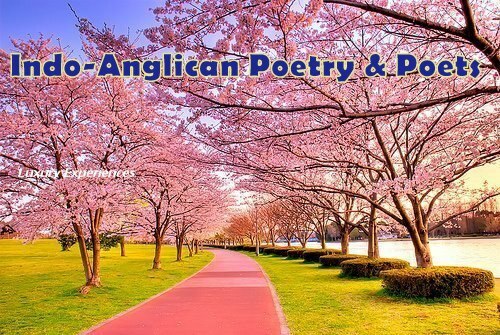 The Rose of God, The Golden Light, and Thought the Paraclete are among the finest mystical poems. His supreme achievement was Savitri, a colossal epic running to about 20000 lines. In Savitri he used the story of Savitri's conquest of death in the Mahabharata - a story which has influenced Indians for centuries as an exposition of perfect womanhood - and expanded it to create his epic. 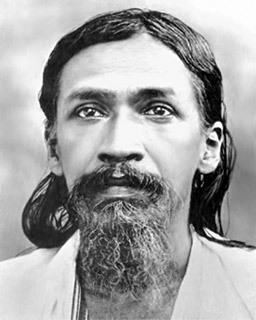 A mystic and a seer, Aurobindo claimed to have described his own, palpable experiences in writing the poem. Rabindra Nath Tagore is regarded as the Titan among the Indian writers of English verse. 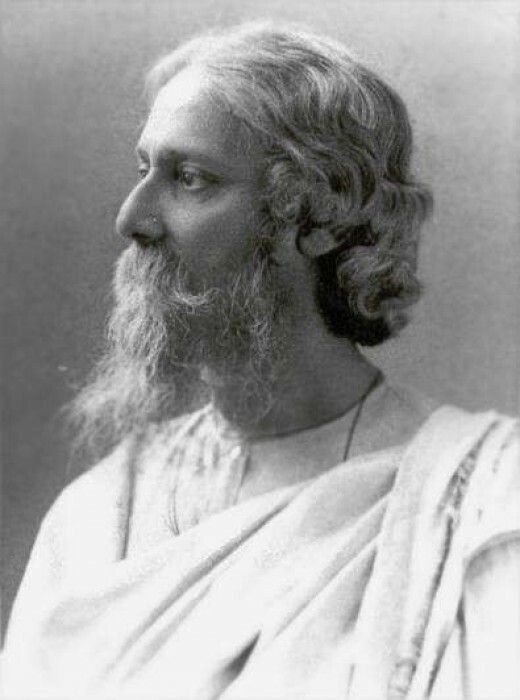 Though strictly speaking, Tagore wrote only one poem, 'The Child' (1931), in English, his own English renderings of his famous poem, Gitanjali (Songs Offering) (1912) won him the Nobel Prize for literature in 1913 and world - wide renown. 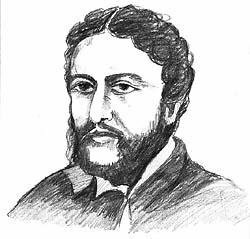 After that, Tagore continued to "translate" several of his works into English, deviating considerably from the Bengali in the process. Tagore bestrides the world of Indian culture like a colossus. 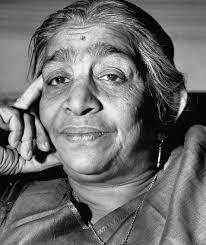 Sarojini Naidu (1879 - 1949), the Nightingale of India, is among the most popular and accessible of Indian poets in English. Naidu's poems are deliberately grounded in an anti - intellectual aesthetics of ephemeral beauty. 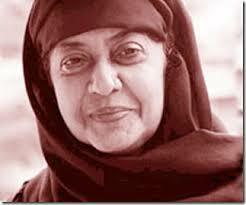 She was primarily a lyric poet whose mastery of rhyme and meter is unmatched. Her poetical output contained in the volumes called The Golden Threshold (1905), The Bird of Time (1912), The Broken Wings (1917). These volumes are full of poignant feeling and picturesque Indian imagery. The chief quality of her poetry is melody - sound and sense combine to produce an emotion, as in music. Harindranath Chattopadhyaya (1898 - 1989), brother of Sarojini Naidu showed great promise in his first collection, The Feast of Youth (1918). Both Tagore and Aurobindo were impressed by his talent. His another volumes are The Magic Tree, The Perfume of Earth, Grey Clouds and Coloured Garden etc. backward, corrupt and hypocritical. The new generation which had come of age in the 1950's and 1960's found itself betrayed by its elders. Thayil, Makarand Paranjape, Rabindra K. Swain, Vijay Nambisan, Arundhati Subhramaniam, Anjum Hasan, Mamang Dai etc. cynically prepares himself for another riot; Mahapatra's Dawn at Puri links the temple at Puri with crows and skulls' Chitre's speaker regards his Father returning Home with dispassionate and ironic detachment. Kolhatkar turns the whole idea of the traditional pilgrimage inside out in Jejuri. 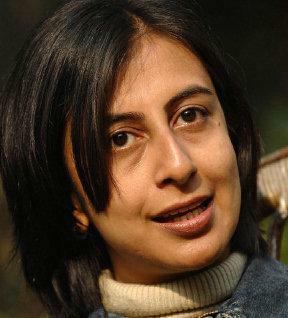 The publication of, in 1976, of Arvinda Krishna Mehrotra’s Nine Enclosures, Gieve Patel’s How Do You Withstand, Body, and Adil Jassawalla’s Missing Person by a Bombay Clearing House shows promise that high quality of Indo- English poetry is being produced still today. 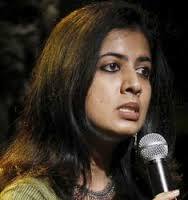 It is always easy to tear a poem to pieces or deconstruct it but to understand a poem, or respond to it at several levels calls for approaches which are more constructive or creative and this should be the guiding principle of one’s approach to the study of Indian English poetry old or new.